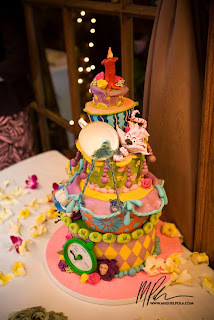 Alice in Wonderland cakes are fun, whimsical and colorful! Beautiful 4 tier Alice in Wonderland cake with pastel green tea pot on top. 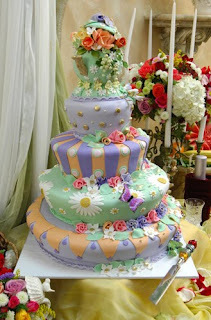 Decorated with flowers and delicate pastel colored icing in greens, purples, and orange with many sugar flowers. 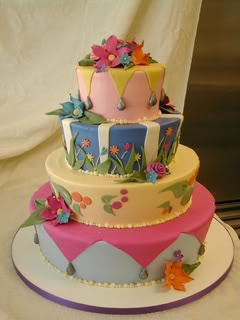 Simple and colorful Alice in Wonderland 4 tier wedding cake in soft muted blues, pinks, yellows and greens with many colorful sugar flowers. 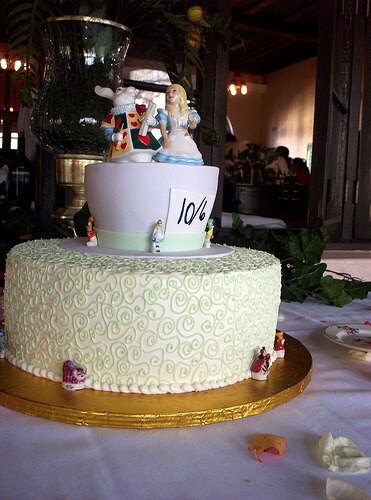 Classic mad hatter white wedding cake with Alice in Wonderland cake topper. 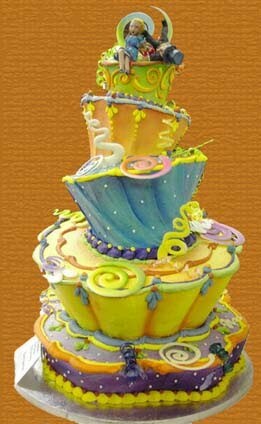 Dreamy Alice in Wonderland cake with whimsical shape in green, blue orange and yellow with lovely Alice in Wonderland cake topper. 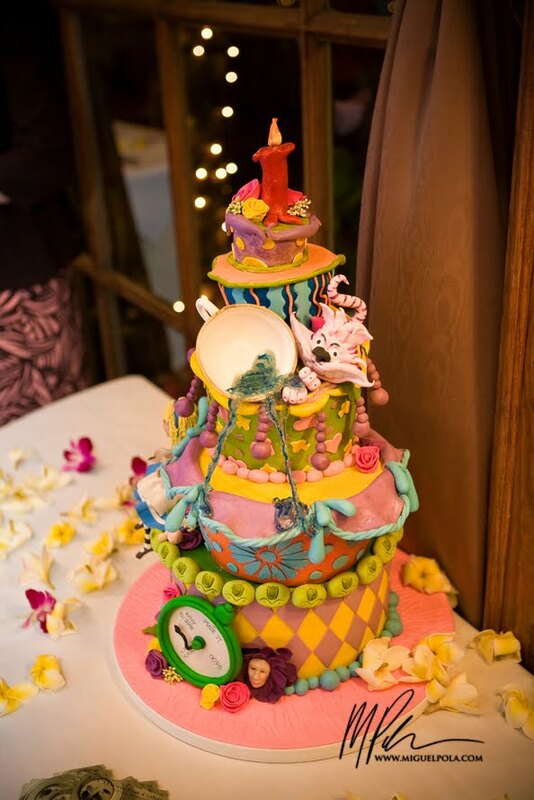 Whimsical, colorful and cheerful wedding cake in the theme of Alice in Wonderland with Cheshire cat and all! 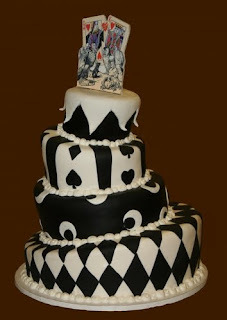 Queen of Hearts themed wedding cake in black and white. 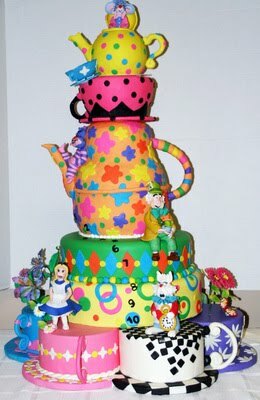 Extremely colorful and large Alice in Wonderland with the Mad Hatter's tea party as its principal theme. I Want the queen of hearts themed wedding cake!!! Where I can get it? ?